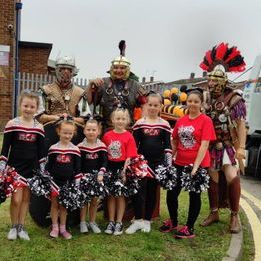 Deva Cheerleading Academy is a competitive, community cheerleading squad based in Chester, with members from Chester and the surrounding areas, including Ellesmere Port, Wrexham, Connah's Quay and the Wirral. We compete under the name 'DCA Allstars'. 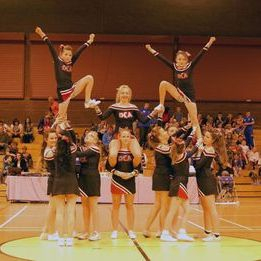 Our cheerleaders learn to cheer, dance, stunt, jump and tumble with our qualified coaches, and are given the opportunity to perform at local and national games, events and competitions. If you would like DCA to cheer at your event, please contact us. Cheshire Phoenix Basketball, Wrexham Crusaders Rugby League, Chester Rugby, Chester American Football and Flintshire Ice Hockey. The Stroke Association, Cancer Research Race for Life, Help for Heroes, Sport Relief, the NSPCC and many more. Chester Marathon, Chester Christmas Parade, Chester Pride, Christmas Parades, local village fetes, fun days and school events.